Do you ever wake up with sore muscles in your face, or at the jaw joint? Are you noticing frequent headaches? Do you find you are clenching your teeth during the day? Has a dentist or hygienist told you that your teeth show signs of wear? 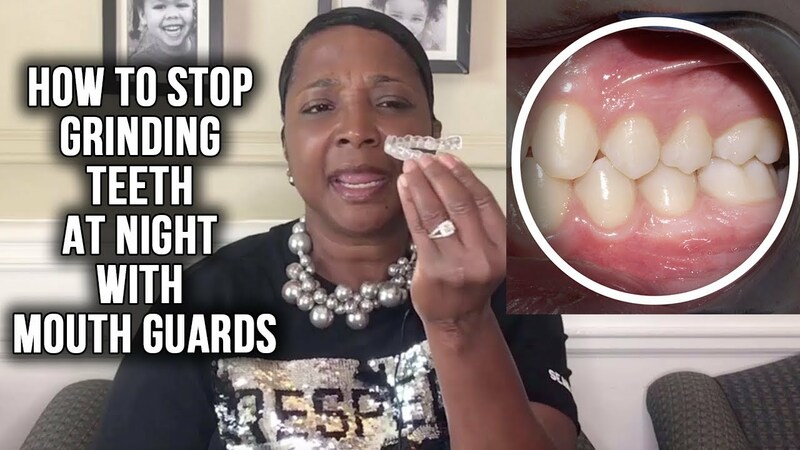 Are you wondering how to stop grinding your teeth at night? If you answered “yes” to any of these questions, you are likely to benefit from a mouth guard. Read on to find out what can be done to help if you are suffering from jaw clenching and teeth grinding at night. When we talk about “mouth guards” we do not mean the thick rubbery athletic mouth guards worn by athletes. Rather, we are talking about a custom-fitted, thin plastic guard that fits only your teeth. We often refer to these as “night guards” because most patients opt to wear them while sleeping. You may have also heard the term “TMJ mouth guard” because much of the initial discomfort from grinding teeth is first felt in the TMJ (temporomandibular joint, or jaw joint). But these guards can really be worn any time. Having a custom-fitted guard is important because the over-the-counter options tend to be very soft, which can actually lead to more grinding as we try to “chew” on them while asleep. That constant grinding, or bruxism, will only cause more problems down the road if not addressed. We offer custom-fit night guard mouth guards – or splints – that can help you stop grinding your teeth at night. We will create a night guard oral appliance specifically for you so that it will fit comfortably and not prevent you from sleeping. By managing your Bruxism, we can lessen the symptoms of it. Yes. It is estimated that 20% of the adult population is prone to “awake bruxism” or clenching jaws during the day. Remember, when we are relaxed with our mouths closed, our teeth should not be touching. Clenching the jaws puts a lot of added stress on the TMJ and facial muscles. Just like with grinding your teeth at night, awake bruxism is a largely unconscious act. Many people do not realize they are doing it, even though they are awake. In terms of grinding your teeth at night, it is estimated that approximately 60% of the adult population has some kind of jaw movement while asleep, though not all of this movement constitutes grinding. True grinding occurs in roughly 8% of the adult population. This is much more common in children, though they tend to outgrow the behavior and we generally do not recommend mouth guards for them unless they are experiencing pain because of it. How Can a Mouth Guard Help with Grinding Teeth and Clenching? Mouth guards protect the teeth from the wear and tear that comes from grinding and clenching. Many do not even realize they are grinding and clenching until they start to feel the muscle soreness and tooth sensitivity that come from these behaviors. With the guard in place, the teeth are protected. It is important to note the mouth guard alleviates soreness and sensitivity that comes from grinding and jaw clenching, but it does not always prevent these unconscious actions. For many, the root of the grinding lies in stress. For others, a misaligned bite can be the cause, because the teeth are sliding back and forth in a failed effort to fit together. Poor sleep patterns can also cause bruxism. When you discuss your mouth guard needs, it’s important to also talk to your dentist or hygienist about ways to reduce or eliminate the causes. 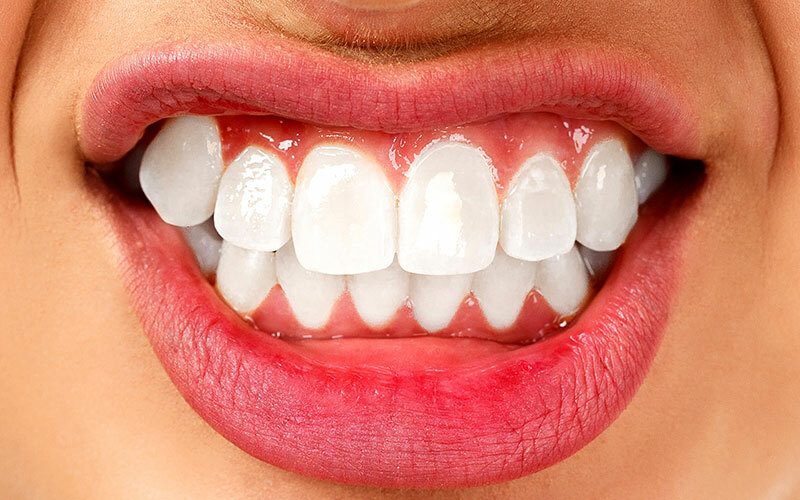 What Happens Without Treatment for Clenching or Teeth Grinding? Patients who are long-time grinders begin to notice several changes with their teeth, gums, and jaws. We have already discussed the muscle soreness that results from grinding and clenching all night. The TMJ, or jaw joint, is usually the first place patients notice soreness. This can spread to the rest of the facial muscles and even cause headaches. Additionally, patients who grind their teeth notice sensitivity because the enamel is slowly wearing away. Without the proper amount of enamel protecting the surface, teeth become sensitive to heat and cold. Patients may also start to notice receding gums. When the gum tissue starts to pull away from the teeth, more of the tooth structure is exposed, which causes sensitivity to heat and cold. Long-term impacts of gum recession include pain from exposed tooth roots, loose teeth, and eventually tooth loss. Anyone who plays sports or engages in an athletic activity, whether competitive or not, can protect themselves by wearing an athletic mouthguard. We offer custom, form-fitting mouth guards to patients of all ages. We can ensure that your mouth guard is tightly fit to your teeth to provide maximum protection. Utilizing our digital x-ray technology, we will make sure that the guard is fitted to protect your teeth, gums, lips, tongue, and cheeks. We provide mouth guards in different colors and designs. 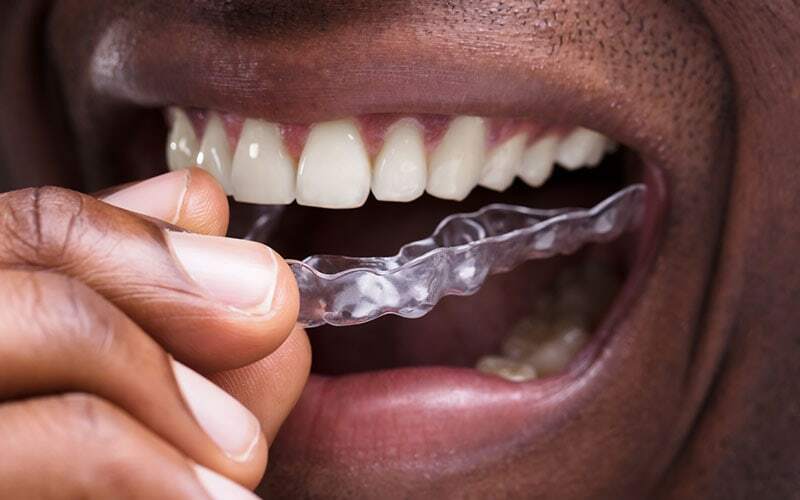 If you have been suffering from any of the conditions we have mentioned, or if you want additional information on how a mouth guard may help you, call us at (404) 254-5196 to set up a consultation. The process to make a custom-fitted guard is quick and painless, and it can help in many ways. No one should have to suffer from the pain and soreness that comes from bruxism. We can help you get back on track, and avoid the pain and soreness that come with grinding and clenching teeth. Peach Valley Dental is located at 3040 Briarcliff Rd, Atlanta, GA, 30329. We serve Atlanta, Brookhaven, Tucker, North Decatur, and North Druid Hills. We are in-network with most PPO dental plans, and we are pleased to offer in-house plans for those who do not have dental insurance. Dr. Kelle Dennis has been in practicing dentistry for more than 20 years, and she combines her technical skills with her love of helping others. She routinely provides her services in nursing homes for patients who cannot come into the office. She began her career with the National Health Service Corps in western Pennsylvania before settling in Atlanta. Her mission is to maintain an environment that recognizes she is here to serve her patients and not the other way around. Dr. Dennis and her team are eager to meet you and to show you what they can do to help.